A Republican lawmaker has filed a bill that would make Florida the 46th state to adopt lawful open carry of handguns while dropping a number of mandated gun free zones. The measure, filed late Friday by the new head of the Senate Judiciary Committee, Greg Steube, R-Sarasota, would modify state law to allow for open carry as long as one had a valid concealed carry permit. Steube, a former state representative who sponsored pro-gun legislation in his stint in the Florida House, was tapped to replace outgoing Senate Judiciary Chairman Miguel Diaz de la Portilla, R-Miami, who repeatedly blocked gun reforms. 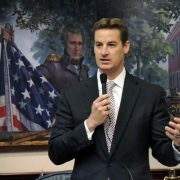 Steube’s measure, SB 140, is sweeping in the respect that it not only authorizes Florida’s 1.6 million concealed carry permit holders to carry openly, but also trims away a number of long standing gun free zones. Among the areas affected would be secondary schools, career centers, and local government meetings. Despite some of the most pro-gun laws in the country, Florida is just one of five states in the country that ban open carry and are in the same club that includes California, New York, South Carolina and Illinois. Florida allowed open carry until 1977. The Florida Supreme Court is currently reviewing the 2012 case of a Floridian who was found guilty by a lower court for the open carry of a weapon outside of his home after his handgun, which he had a concealed carry permit for, became visible. With a ruling in that litigation likely before the start of the 2017 legislative session, lawmakers may be forced to codify a change should the high court strike the ban. Legislation to pass open carry in the last session became a litmus test for law enforcement, with the Florida Police Chiefs Association supporting the move in a 15-7 vote while the Florida Sheriffs Association had 47 of 67 member sheriffs opposing the measure. Each side had very vocal champions with Pinellas County Sheriff Bob Gualtieri contending open carry is fundamentally dangerous and Brevard County Sheriff Wayne Ivey arguing openly armed citizens represent a direct deterrent effect on crime. CHANG: Next, we’re going to hear from someone who wants to see gun rights expanded in the next administration. John Boch is a co-chair of President-elect Trump’s Second Amendment Coalition. He joins us on the line from his home in Bloomington, Ill. Thanks so much for being with us. JOHN BOCH: Thanks for having me. CHANG: So I understand you want to see a federal law on gun reciprocity, which means allowing people with concealed carry permits to cross state lines with their guns. Why is this a top issue for you? BOCH: Well, it’s a top issue for me because, as it is currently in America, there’s a patchwork of laws across the land and you have to do a lot of research ahead of time to make sure that you’re legal if you’re carrying your concealed firearm across state lines. If we had national reciprocity, our concealed carry licenses would be recognized with full faith and credit just as our driver’s licenses are to current Americas. And so we want to see that expanded to the concealed carry licenses as well across the nation so I can go to New York City or to Los Angeles and not have to do a mountain of research and maybe find out that my carry license is not recognized in one state versus another. CHANG: Are there specific things that the Obama administration did that you would like to see undone? BOCH: Basically, every executive order that Obama issued on firearms I would like to see rescinded. Frankly, I’d like to see a lot of executive orders that, you know, the two Bush presidents put forth relating to guns and Bill Clinton, I’d like to see those struck as well. CHANG: How much has the Obama administration really encroached on gun rights? Because Congress never passed legislation to expand background checks to, say, gun shows and internet sales. That was the president’s main goal. He didn’t get that done. CHANG: Transactions with federally licensed dealers, yes. BOCH: Exactly. And internet sales, they’re highly regulated just as if you went to the store to buy it. Now, private transactions, if you’re talking about that, I don’t see as the government’s business that I sell a gun to my neighbor or my uncle. That, in my mind, is not government’s business. And when people say universal background check, that really means a ban on private transfers. All transfers have to go through the government. And I don’t like the idea that the government gets to keep a registry of who transfers guns to whom. CHANG: So you are part of President-elect Trump’s Second Amendment Coalition. What exactly is that? Do you feel like you really have Trump’s ear? BOCH: I don’t know that I have President Trump’s ear. I know that I’ve got Donald Trump Jr.’s ear, and I’m pretty sure that Donald Trump Jr.’s got a pretty inside line to the big guy himself. But the whole purpose of the Second Amendment Coalition team is to provide advice, recommendations, a direction to take gun laws and gun regulations and so forth for the new administration. You know, Donald Trump has a long reputation for surrounding himself with good people who are subject-matter experts to provide guidance. And I just believe that this is just another example of that, just as some of these nominees that he’s put up for some of these Cabinet positions have been just simply outstanding individuals. CHANG: John Boch is executive director of the gun rights advocacy group Guns Save Life. Thanks for joining us. BOCH: Thanks for having me. One of the burglars is shot and killed. The other two manage to escape and police are on the hunt for them. WSBTV – Police are hoping someone can help identify two home invaders. They were caught on camera as a woman in the house shot at them. “She exercised her right to defend her livelihood and property,” Cpl. Deon Washington with the Gwinnett County Police Department told Channel 2’s Nicole Carr. 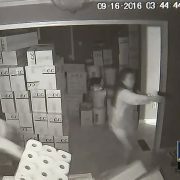 Surveillance video from inside the home shows the Gwinnett County woman rush from her bedroom and then unloads all her bullets on the three men who kicked in her front door. The woman is a local restaurant manager who was staying in a housemate’s Spring Drive home for work-related reasons. She heard the three intruders break into the home around 4 a.m. Friday. Video shows the men have guns clearly in hand. Police said the men were looking for cash when they met their match. As they exchange fire with drywall debris clouding the dark home, the video shows one man run through a glass door. Another man died of his injuries in the driveway. The video then shows the woman being consoled by a housemate who gently takes away the gun. “It’s not common that we receive this caliber of surveillance video showing the crime unfold, an actual home invasion,” Washington said. 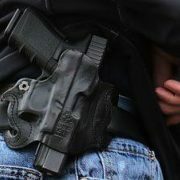 Its has been said that a gun is the great equalizer. This brave woman proves it. She’s clearly outnumbered, yet she defends herself, her roommate and her property because she knew she could. The Second Amendment triumphs again. 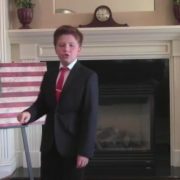 Nathan Bond, a 10-year-old from California spent his summer memorizing the every last word of the U.S. Constitution. 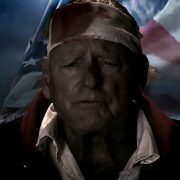 Heidi Bond, Nathan’s mom, said she homeschools her boy, and he “fell in love with America and the government” when he read and memorized the Declaration of Independence which he recited at a rally in Sacramento back in June. He took on the Constitution project this summer, memorizing the document in 40 word segments during family camping trips and boat rides. Heidi recorded a video of Nathan’s grand performance to YouTube last week. Nathan devotedly reads recites the Constitution, an achievement that takes 25 minutes. 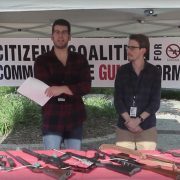 Just when you think you have seen it all, comedian Steven Crowder recently set up a sidewalk display featuring a table of firearms and then took an undercover video documenting how the average citizen reacted to them.